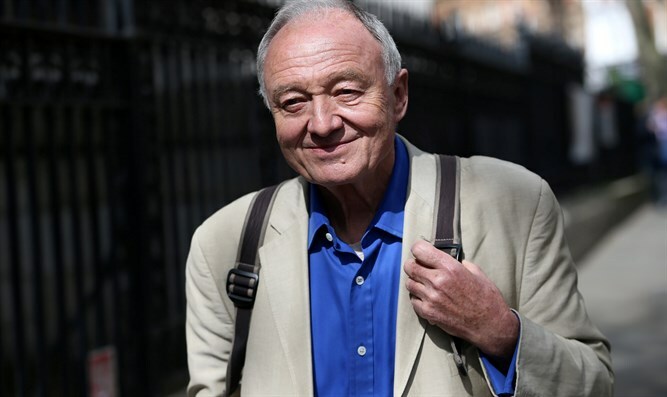 Ken Livingstone, the former mayor of London, already notorious for his past anti-Zionist statements, said at a meeting last week, "It’s not antisemitic to hate the Jews of Israel." "You can’t have a proper functioning democracy in a world in which the media, whether it’s the press or internet, can just spread lie after lie after lie," he added. Livingstone's comments were first reported in the United Kingdom's Daily Mail newspaper. Livingstone, who quit Labour last year following a two year suspension for his comment that Hitler supported Zionism was speaking at a meeting of "Labour Against The Witchhunt." The "Labour Against The Witchhunt" group says that criticism of anti-Semitism within Labour is a "witchhunt" designed to push Corbyn out of power. Livingstone also blamed accusations of anti-Semitism in Labour on 'ghastly old Blairites... doing everything possible to get rid' of Corbyn." "Blairites" is a reference to former allies of former prime minister Tony Blair - Labour members who were not part of the party's hard left and would have spoken about against anti-Semitism in the party. Livingstone served as London's mayor from 2002 until 2008 and prior to that was a Member of Parliament (MP) for Brent East from 1987 to 2001.